Lash Salon has always been interested in overall female beauty, with the primary goal of seeing each woman enhance their best assets. 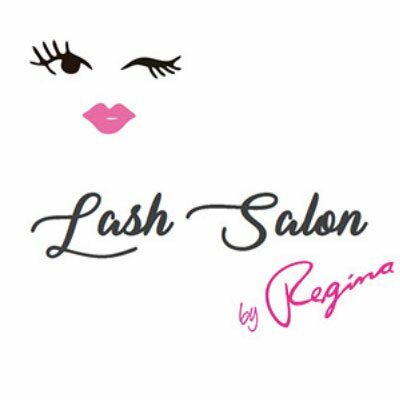 Lash Salon by Regina offers all natural products that are designed to promote thicker, stronger, longer lashes. Great place to get your lashes done. Excellent and professional friendly service by Regina. I have been going there for years always leaving happy. Beautiful and very clean place. Highly recommend. I love taking time for myself Regina pampers us! Regina has always made sure that her clients are well catered to and she maintains a wonderful atmosphere of pleasantness. Regina is the Best in terms of her professionalism and personality!! Lively and always on the go... I'm sure I'd have my lashes done by her if I needed mine done, lol!! Regina is amazing! She is an experienced and I would only trust my lashes with somebody like her :-) Her salon is clean, super cute and conveniently located at 1712 Lakeshore rd, West. I highly recommend this salon! Turns out my lashes were very short due to breakage from 30 years of curling and wearing waterproof mascara. Love my new lashes. Makes my eyes pop! Regina is fantastic. It's my first time, I was a lash virgin and she was funny and insightful. A new friendship has been formed. She is meticulous and her salon is clean and first rate. Give her a call and she will take excellent care of you. Absolutely love Regina and her work. She makes me feel beautiful. Every time I go there she makes everyone feel welcome and is super sweet. Her talent with lashes is beyond amazing. She is very educated on them. I've had them done other places and I have had reactions badly and when she does them nothing happens. I love how the lashes give me such a confidence boost all thanks to Regina. Her place is super clean also and very welcoming. I drive from brampton (45mins away) to her location every time and I'll follow her anywhere she goes!! I'm going to be a forever client of hers!! â¤ love you Regina! Best lash tech in the world!